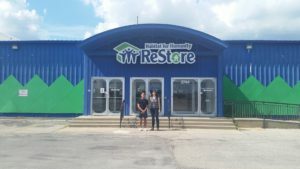 During the week of July 9, half a dozen Housing Action Illinois staff members and several of our Board members traveled throughout Illinois to listen, talk, and connect with member organizations and communities . Through this caravan outreach, we hope to better understand what is happening in communities throughout Illinois when it comes to housing. 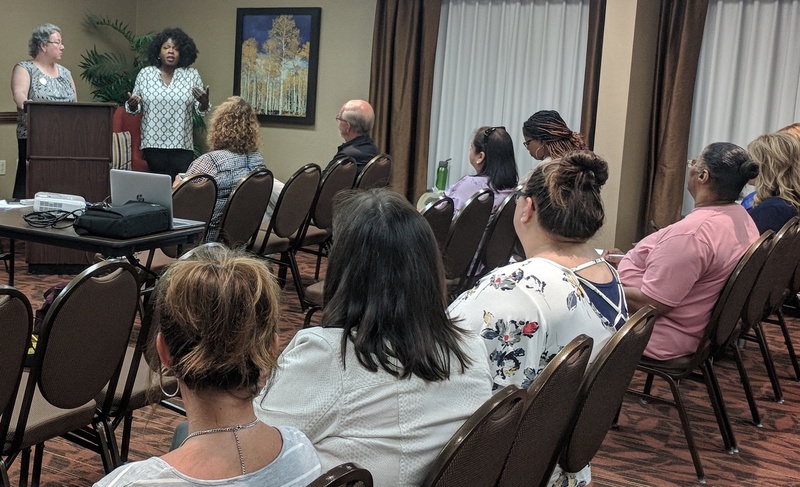 While on the road, we hosted trainings, heard about the challenges and successes of our member organizations, shared updates on our current and future initiatives, and identified ways that Housing Action Illinois can meet needs and connect groups to learn from and collaborate with each other. By working together, we know we can achieve more. 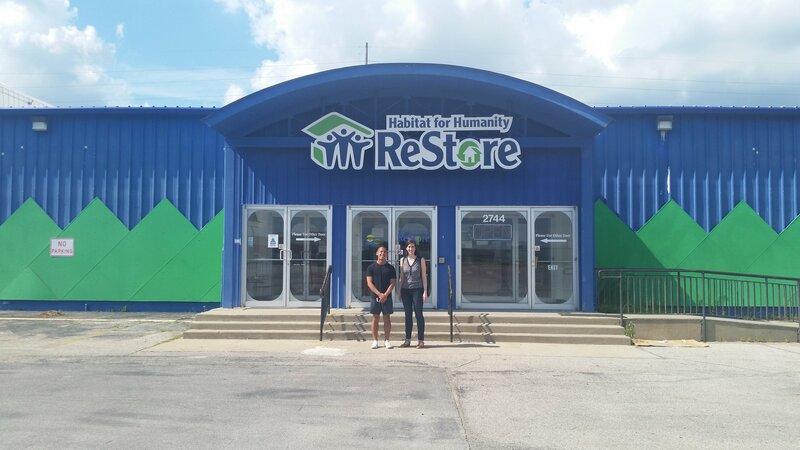 We stopped by Springfield on Monday, July 9 to visit Habitat for Humanity of Sangamon County, which has been helping house families for nearly 30 years and is about to finish work on their 108th house. 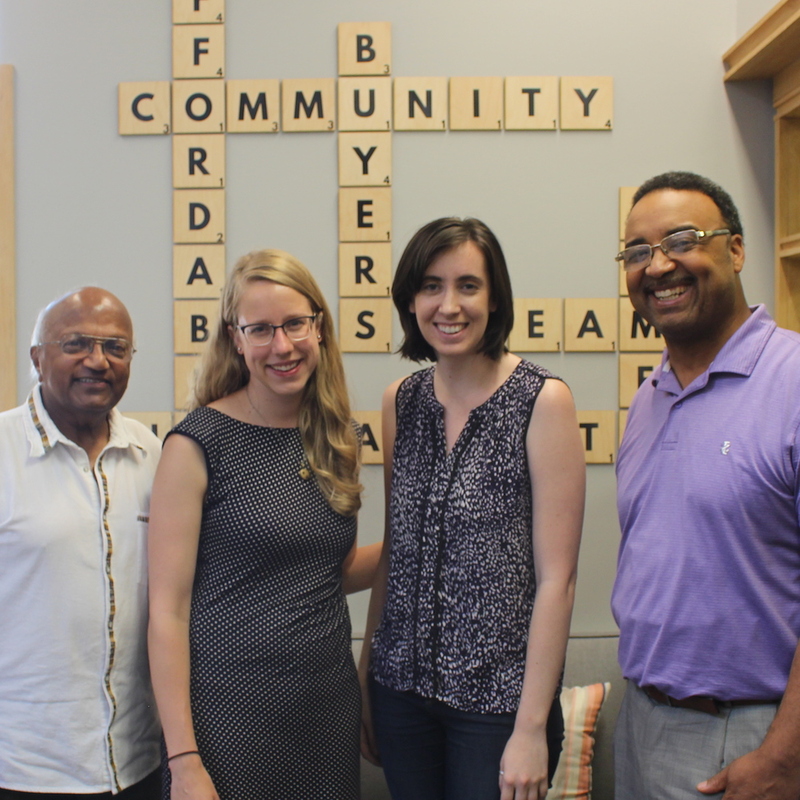 We were inspired to hear from Executive Director Colleen Stone about how Elizabeth Owens, the owner of their 46th home, who just made her final mortgage payment. 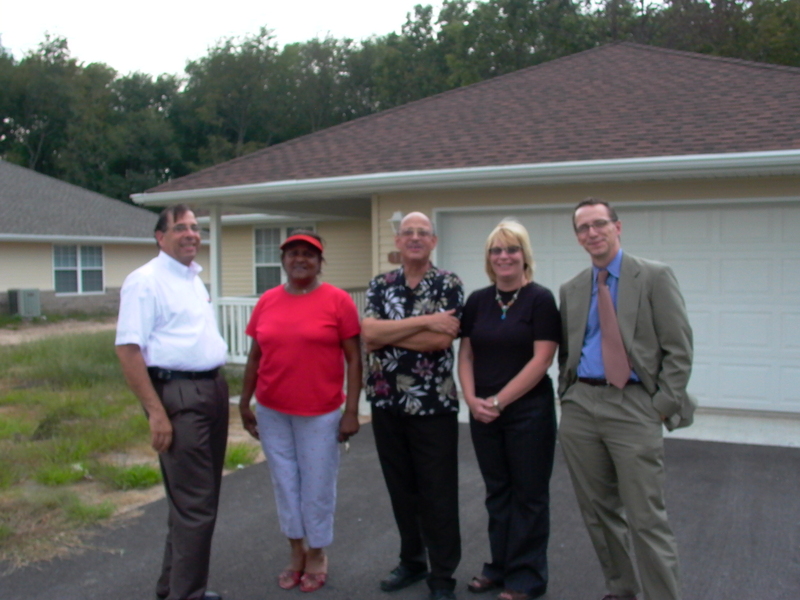 Learn more about the great work that this Habitat affiliate is doing from their own homeowners. 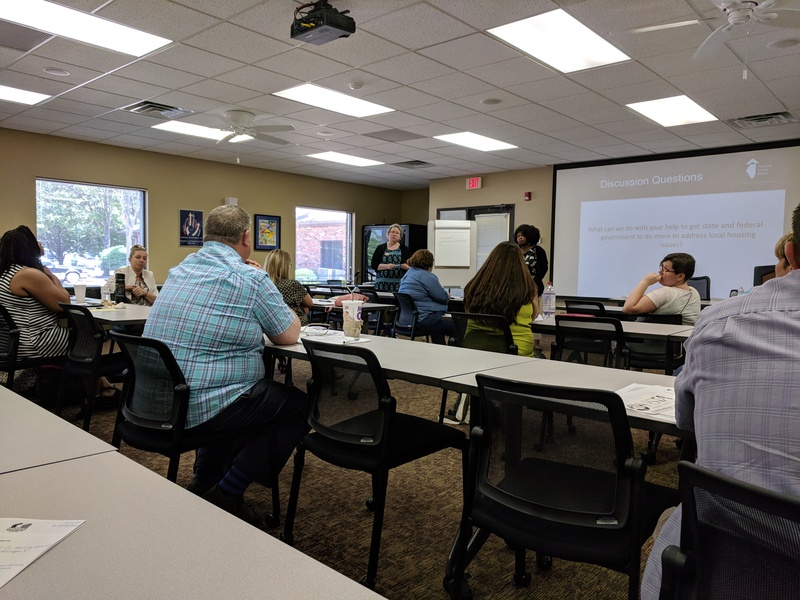 On Wednesday, July 11, we were in Urbana, hosting a regional forum on housing issues and bringing along experts from HOPE Fair Housing to do a fair housing training for local organizations. We heard from community members that source of income protection and NIMBY-ism are two important issues that are currently effecting access to affordable housing. We also discussed how GIS is being incorporated into housing affordability models used by local governments and that public housing authorities are ensuring that staff are trained to assist individuals who are seniors and/or require mental health accommodations. 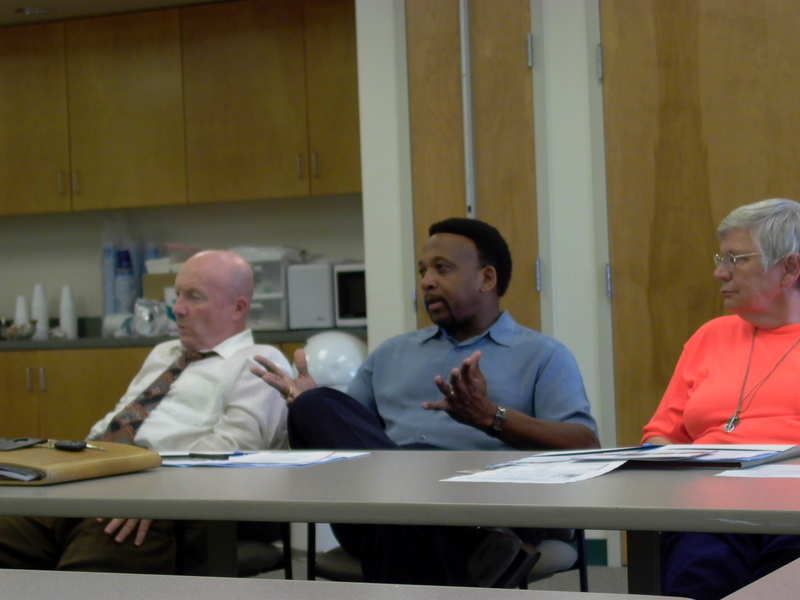 On Thursday, July 12, hosted another regional forum on housing issues and fair housing training in Springfield at Illinois Association of Community Action Agencies. During this convening, we discussed obstacles for people with criminal histories to access housing, the importance of humanizing individuals and families who live in affordable housing developments through story-telling, and framing the improvement of economic conditions of people in your community having economic benefits that we all reap. To finish out our week on the road, we headed to Rockford to host a forum on affordable housing, homelessness, and eviction in the area. 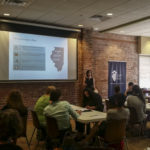 Partnering with ZION Development and HomeStart, we brought together nearly 40 local partners—from homeless services providers to public housing authorities, community organizations, CILs, and legal aid lawyers—to talk about why Rockford has the highest eviction rate in Illinois (4.55%). Many attendees were shocked by the statistics and our discussions quickly turned to focus on ways to help prevent tenants from being evicted and mitigate the lasting (and sometimes generational) effects of an eviction record, such as tenant and landlord education programs, court mediation, and a workforce development plan. It was great to hear from several of Housing Action’s close allies, like Shelter Care Ministries, Prairie State Legal Services, and RAMP CIL, and we hope to facilitate continued partnerships around this issue in the future. Storytelling is an effective part of explaining what affordable housing is and what we can do to create an Illinois where everyone has a good home. 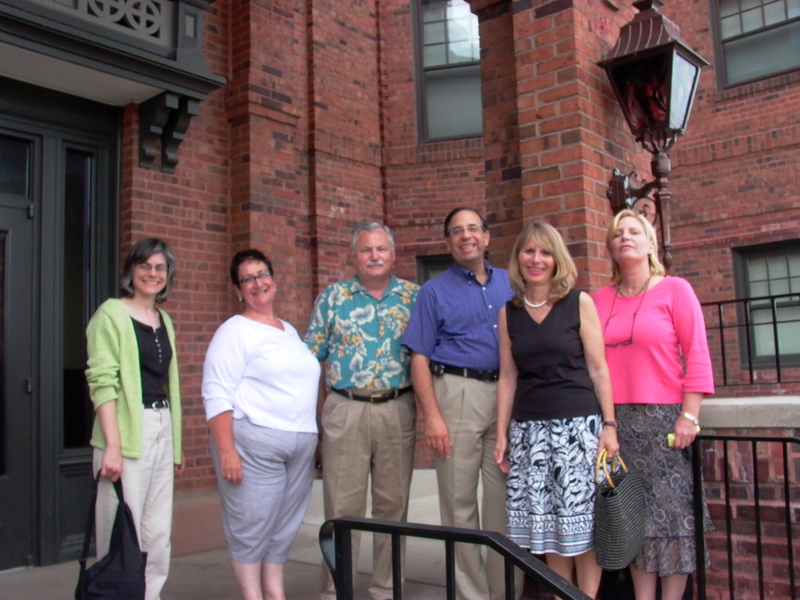 Often, affordable housing practitioners may have difficulty collecting and conveying their stories with their community. That’s why our communications team hosted a strategic storytelling workshop at Cahokia Mounds with the Community Builders Network of Metro St. Louis on Tuesday, July 10. 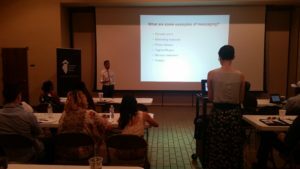 Presenting to a diverse group of 16 nonprofit professionals, we talked about what makes a good story and how to create concise messages about your work and your organization. It was inspiring to hear about the great work that participants such as staff from Justine PETERSEN and Land of Lincoln Legal Aid Foundation are doing. 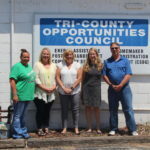 Following the workshop, Communications Manager Kristin Ginger and Communications VISTA Marissa Diekhoff headed north for the remainder of the week, while Marketing & Communications Consultant Timm Krueger stuck around to meet with two of his grantee clients, CDBG Operations Corporation and Justine PETERSEN. On the same day, our Executive Director Sharon Legenza, Outreach Manager Gianna Baker, and new Stevenson Center Policy Fellow Jerome Sader hosted a regional gathering in Carbondale to discuss housing issues in southern Illinois. 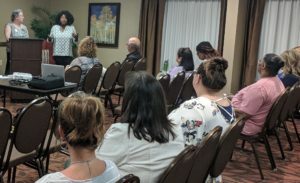 Participants brought up the obstacles that people with records face as they try to find good homes, discrimination against renters hoping to pay with non-wage income such as a housing choice voucher, and the connection between mental health and homelessness. Thanks to experts from HOPE Fair Housing for joining to do a fair housing training as part of the gathering. 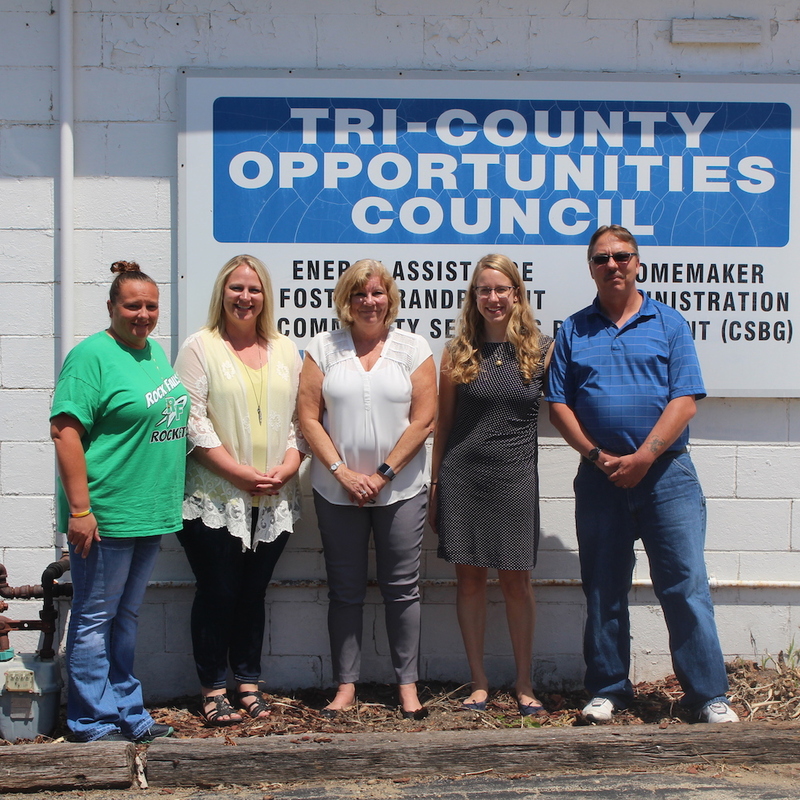 Later in the week, Timm was able to meet one-on-one with CDBG Operations Corporation and Justine PETERSEN, two agencies who have received IHDA’s Foreclosure Prevention Program – Graduated grant. 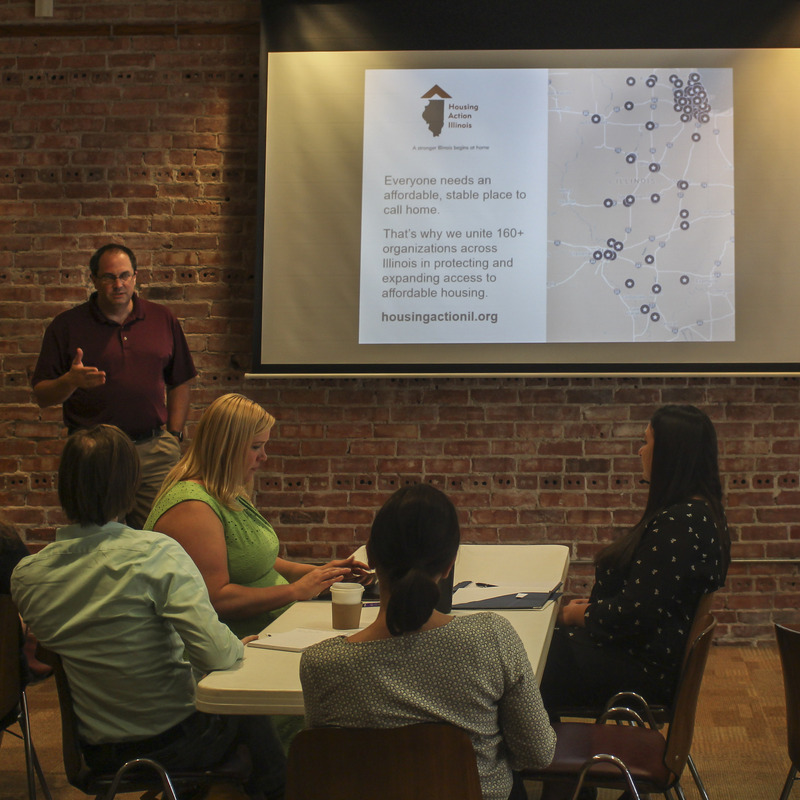 Timm’s meetings with each agency not only allowed him to meet his colleagues face-to-face but also gave him an opportunity to learn more about their community. Timm will continue to work with each agency to help them improve their overall marketing strategies to ensure that their services are being effectively promoted to the East St. Louis community. 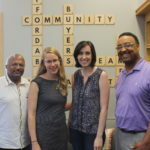 Since our beginning more than 30 years ago, Housing Action Illinois has traveled around our state to visit with our members, host regional gatherings, and take the pulse of housing issues in rural, suburban, and urban Illinois.